The advancement of medical science is a story of researchers, physicians, scientists, advanced medical technologies, cloud computing, and lawyers. 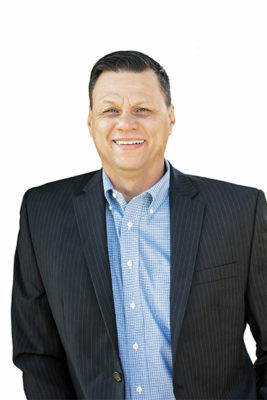 Art Muela is one of those lawyers, having worked for a number of years as legal director of healthcare solutions for Dell Inc. There, he traversed some tricky regulatory territory to bring advanced computer engineering to the important fields of medical research and treatment. He’s proud to have played a role in the ongoing fight to help children win the battle against aggressive forms of brain cancer. To be clear, Muela had no direct patient contact in his work. And he holds a degree in law, not anything technically related to medicine or even technology. But this is an attorney with a passion for business and how new technologies can affect the way we live. About five years ago, that meant learning how his then employer, Dell, was developing high-performance computing that used big data and the cloud to create new treatment plans for children suffering from brain cancer. Running through thirty terabytes of data, healthcare practitioners identified personalized medicine plans for pediatric patients with a relatively rare brain cancer, neuroblastoma, by aligning drug treatments with the genetics and disease state of the patient. “Without personalized medicine, kids would typically get a watered-down treatment of what adults were given with the same cancer,” Muela says. “It’s not necessarily effective, and the medicines were really hard on kids.” Instead, the treatment derived by Dell’s hypercomputing solution was easier and more effective on young patients. The information technology used to process those thirty terabytes of data raised unique and challenging regulatory issues. Muela’s role was to navigate the intersection of medical-device regulations and new technology with company executives and government-relations people. “This truly was an exciting project that we had to get right because of what was at stake,” he says. That was in 2012 and 2013, when the FDA was working its way through defining whether the computation of massive amounts of patient data for the purposes of treatment would be regulated like a medical device. Muela likes to figure out how he can help businesses succeed, possessing a clear can-do attitude. He approaches regulations the same way. Good examples of opportunities created by new rules were the 2014 changes made to federal law that allowed hospitals to donate electronic health record (EHR) systems to its referring physicians. “The healthcare delivery system is under a lot of pressure to change, and regulators often make changes to the laws to accelerate change where it makes sense,” Muela says. Another disruptive project required Muela to help Dell set up a cloud-storage solution to hold eight billion medical images. More than simply establishing this as the world’s largest medical imaging database at the time, it had a positive effect on hospitals large and small. It’s this enthusiastic connection to end results that defines how Muela has approached much of his career. Before college at the University of Texas–El Paso, he was interested in law enforcement, but then he was drawn to law school because he liked the development and interpretation of the law more. Muela spent a few years in commercial litigation during the early 1990s, but his interest gravitated toward how businesses operate and grow. So he turned toward in-house work. The dot-com bust of the early 2000s didn’t deter him. “It was a temporary setback, but I was confident in my skills,” he says, which is why he made the move to working for Dell in 2001. Even though it’s a large company, Muela says, CEO and founder Michael Dell fostered an entrepreneurial culture that drew him in. After fourteen years there, Muela was recruited to SourceMed, an entrepreneurial medical IT company led by former Dell executives, which was subsequently acquired. Recently, Muela joined the legal team at the Filtration Group, owned by Madison Industries. Muela is an attorney who helps cure deadly diseases and cut healthcare costs. Here’s to hoping he stays in his preferred discomfort zone.